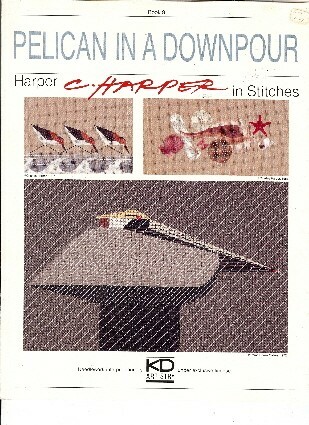 KD Artistry Pelican in a Downpour Charley Harper cross stitch leaflet. Pelican in a Downpour, Sanderlings, Sea Shells. Sticker on cover. Out of print. This leaflet is now being reproduced separately as chartpacks by the licensee.